CHICAGO – Reed Construction is pleased to announce that the firm has completed a 22,000 square foot build-out on behalf of JFMcKinney at 311 S. Wacker Drive in Chicago. Located in Chicago’s West Loop area, 311 South Wacker was a constructed in 1990. The structure is 65 stories tall and offers 1.3 million sf of rentable office and retail space. Recognized for its distinct architectural crown, 311 South Wacker stands out in Chicago’s dramatic skyline. Reed Construction was selected to complete the 22,000 square foot spec suite build-out on the 8th floor of the property. 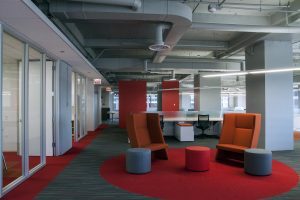 The suites include dramatic color schemes, metal mesh ceilings, polished concrete floors, acid etched glass, large break rooms with solid surface tops and glass tile back-splashes, and angled glass office fronts. 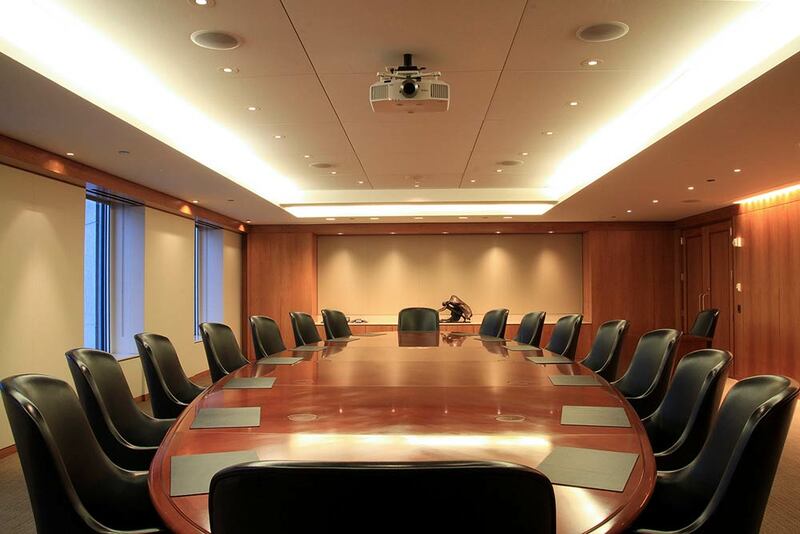 The space also features predominantly open ceilings representative of today’s modern office environment. Matt Mahoney led the project management team for Reed Construction. Alex Harris served as project engineer, with Dan Glombicki as the project superintendent for Reed. Wright Heerema provided the architectural services.